Very 1930s modern. I’ll have to look these buildings up. 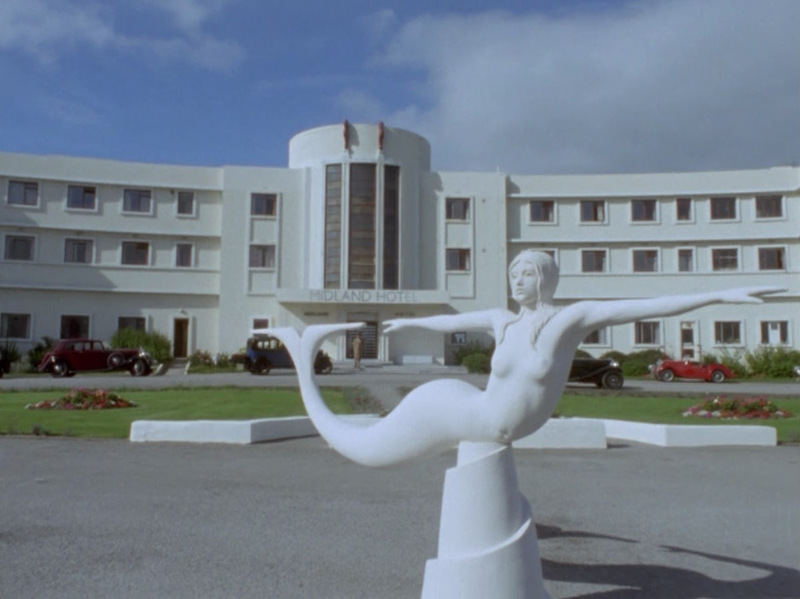 Knowing how film production works, the interiors are often different buildings from the exterior shots. Some scenes, such as this one inside the banker’s library, must have also been from period buildings because the details of the doors and trim are just too nice to be a stage set. 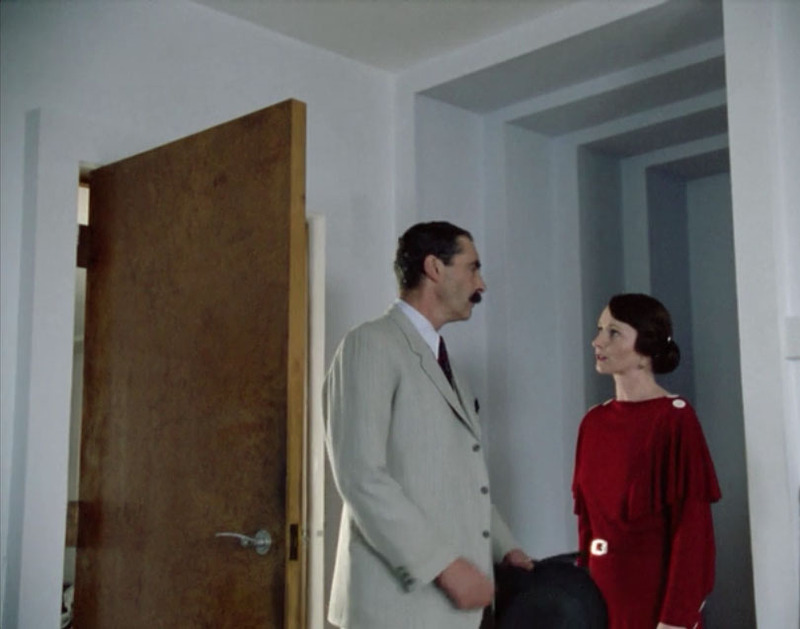 Poirot has a thing for lovely ladies (who doesn’t?) and the females in the show are very elegant and beautifully dressed. I say “hotel” because the signage looked tacked on, and even the characters mention the name is more befitting a place in Leeds. This next building had a very interesting stair that the cast descended, with a crane shot taken from outside through those curious tilted lunette windows. 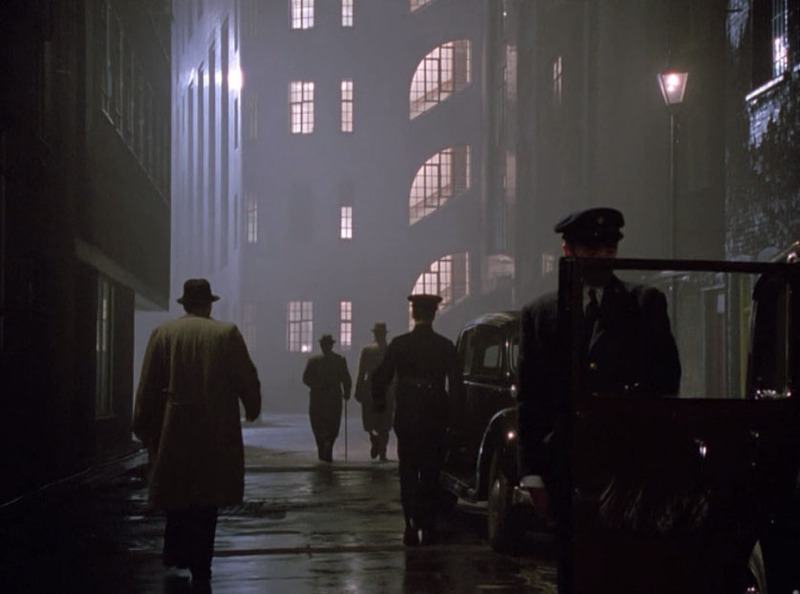 They pull back at the end of the scene and show the whole alley with this great bit of lighting. 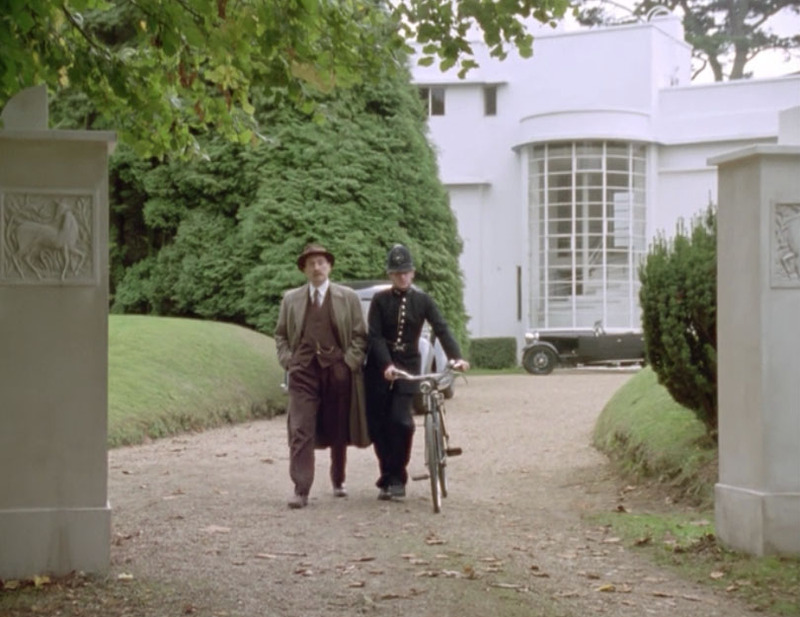 Very early on this show got me hooked when Captain Hastings pulls up in a fabulous Lagonda automobile. 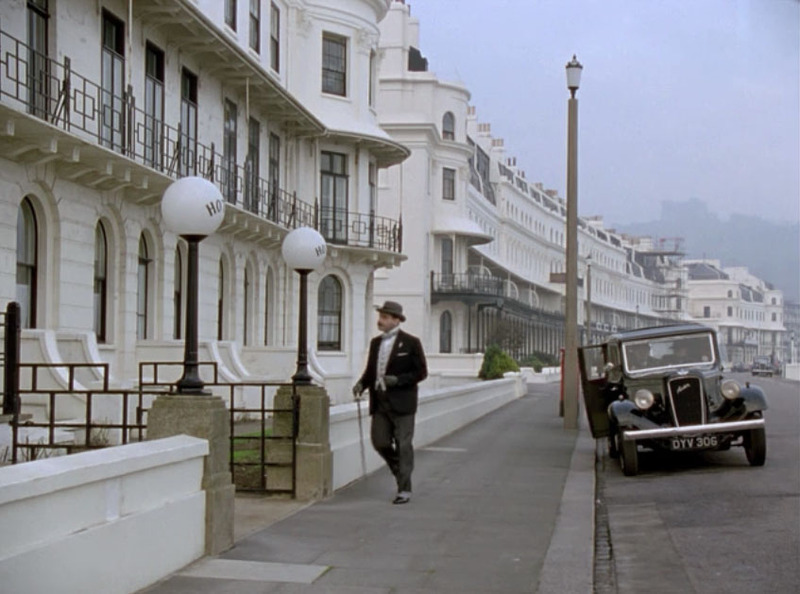 Poirot does not like taking an open car and prefers the train or taxis, but Hastings delights in driving and they really make a great story of the car and his very English sporting habits. 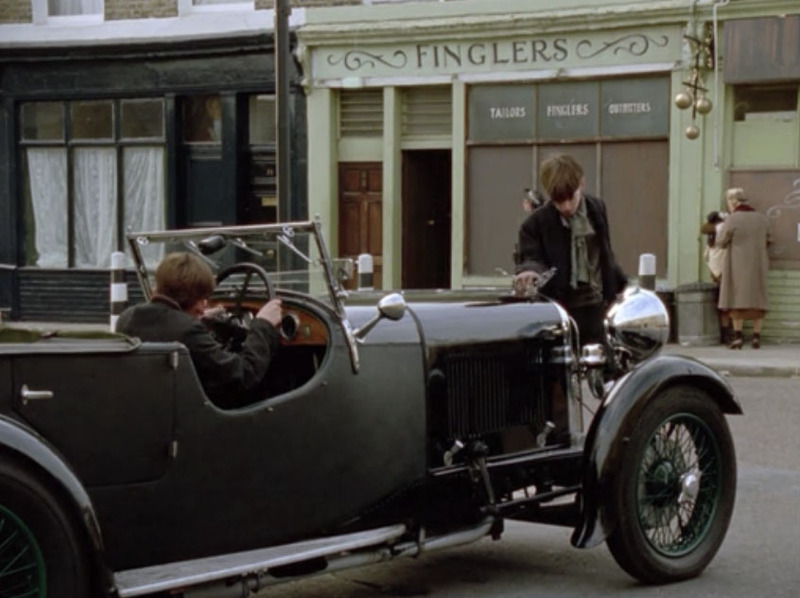 Here the duo go to an old tailor in a seedy part of town, where some kids start playing on the car in the street. 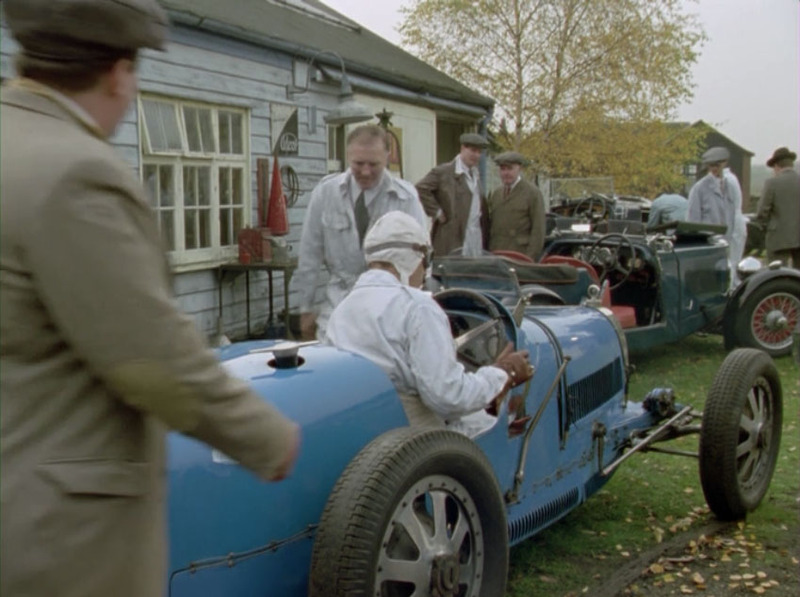 In the banker episode a suspect happens to race a Bugatti and they visit the incredible old Brooklands track to pay the man a visit. 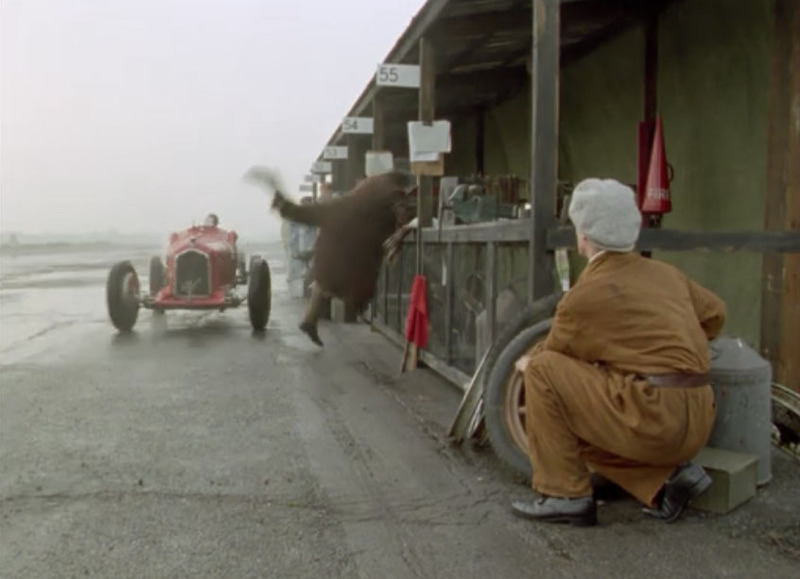 Incredible seeing an Alfa Romeo and Bugatti go at it, in color, at the old Brooklands! The show was filmed in the early 1990s, and I think the track was un-restored at that point. It might still be in this shape, in fact. Here, the Bugatti pulls into the pits. This car today would be priceless, of course. 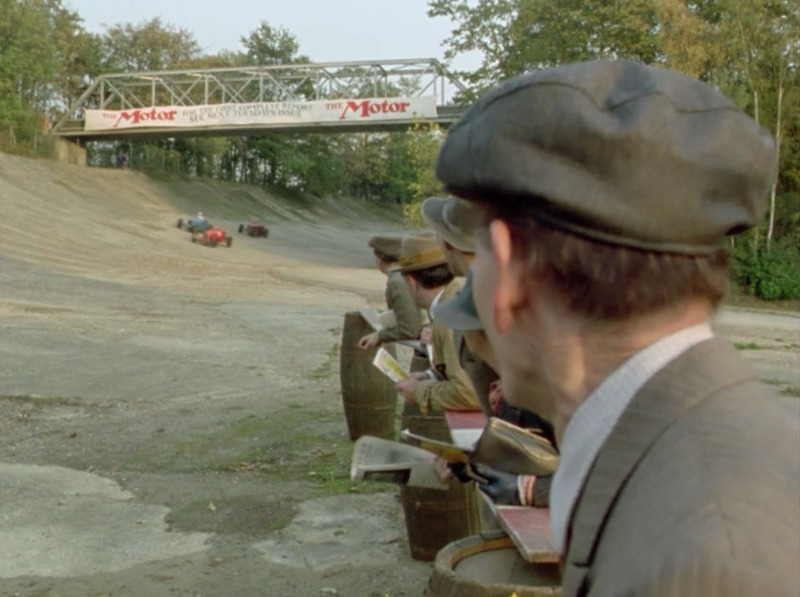 During a scuffle, a pocket-picker runs from Inspector Jaap and almost gets clobbered by the Alfa Romeo coming into the pits. They really drove the cars too, and the driver had to give something special to avoid the actor. 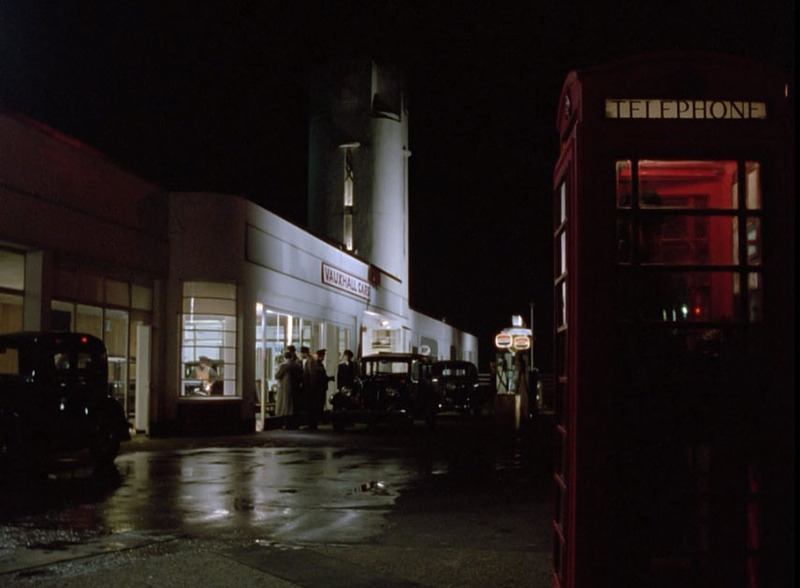 In another episode the team travels the suburbs of London looking for a suspect, and they stop for fuel and a phone at this vintage Vauxhall dealer. The detail of this shop was incredible, with the cars gleaming immaculately. Here is the establishment shot, and again the nighttime lighting was stunning. 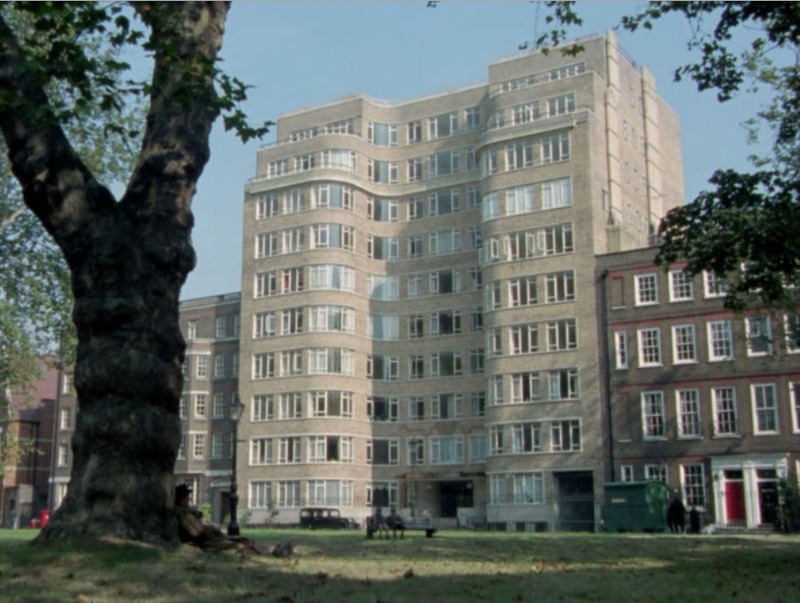 The most amazing thing to me about this show is how the production design consistently uses modern buildings, showing a very progressive and exciting 1930s London. I would love to discover more about these buildings and get back to England to visit some of these landmarks. I would post more Poirot but it looks like Netflix is taking the series down in a few days. I’ll have to cram in a few episodes before the month is out. 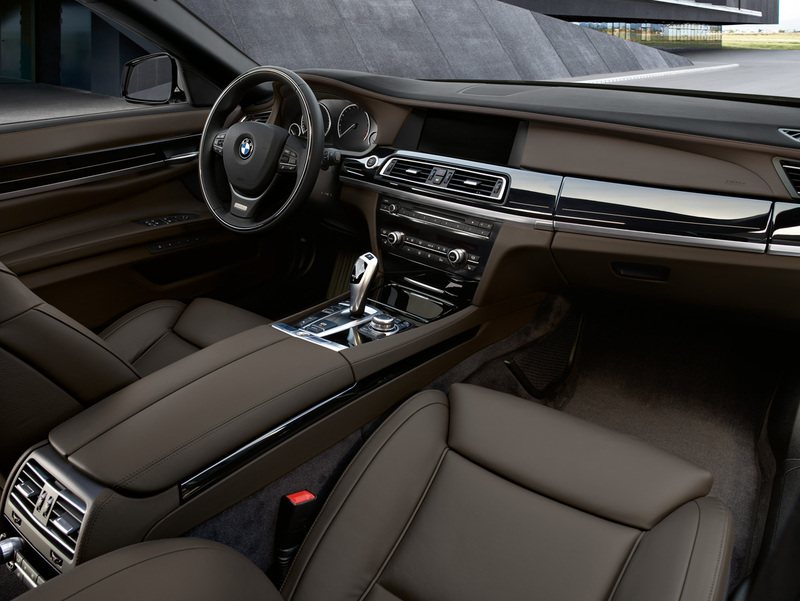 There has been a revival of brown automobile interiors in recent years. 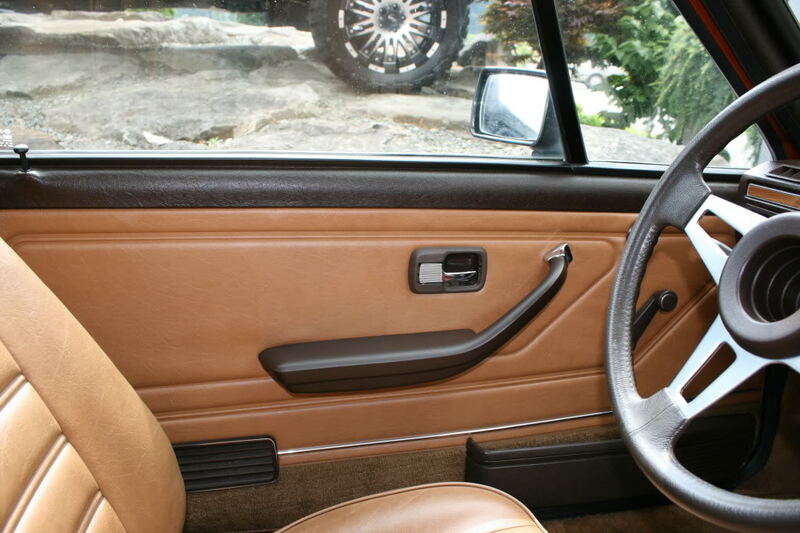 Although this alone would not prompt me to purchase such a car today, Audi, BMW, the Land Rover Evoque, upscale Toyotas and the loveable little Fiat 500 (among many others) offer retro-style brown/saddle interior options. I was a boy in the 1970s when brown was a popular color for cars, kitchen and bath fixtures, appliances and shag carpet. Brown is a color I grew up with. The new car interiors are very nice – see the BMW interior to the right – but I really admire the design and beauty of classic automobiles, so here follows a short list of some favorites. Next up, a Volkswagen Karmann Ghia from the American brochure of 1971 (courtesy enthusiast website Drivers Found). In the mid-70s, I used to peer over the window jambs of the few old Volkswagens in my neighborhood. 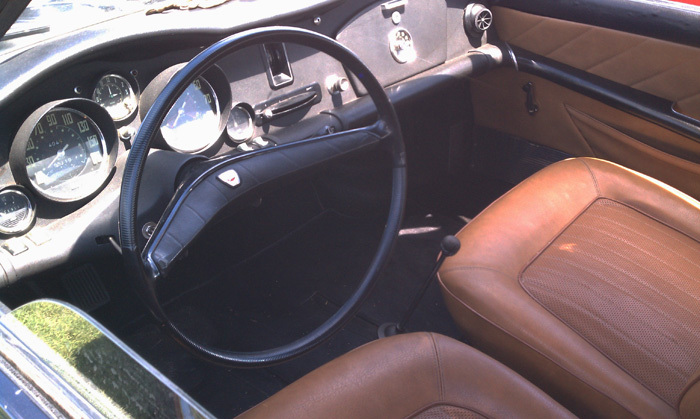 In the summer, especially, you could smell the horse hair stuffing if the windows were open (or the top was down). I have not smelled this lovely odor for many years now, but I know it would take me right back to that 10-year old wandering around on his bike in NJ. 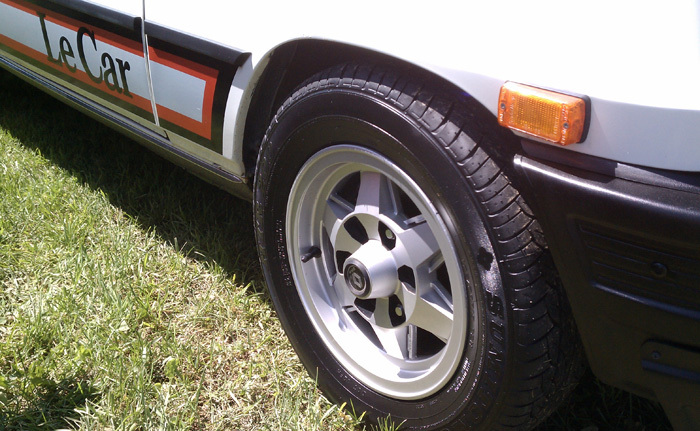 I had many, many Volkswagens over the years (I have a 1977 Scirocco today – guess what color interior?). Not an expensive machine, but such a quality old motorcar. Since I am reminiscing about cars of my youth, I’ll need to mention the Mercedes 300D. My neighbor’s dad had one of these, and it was a lovely, solid piece of rolling art. This was a slow-moving car, but it motored majestically on all-wheel independent suspension and those fantastic MB-Tex psuedo leather seats. (note: to this day, I do not like actual leather seats. Probably another reason I will not be buying a new brown car – everything is leather these days). 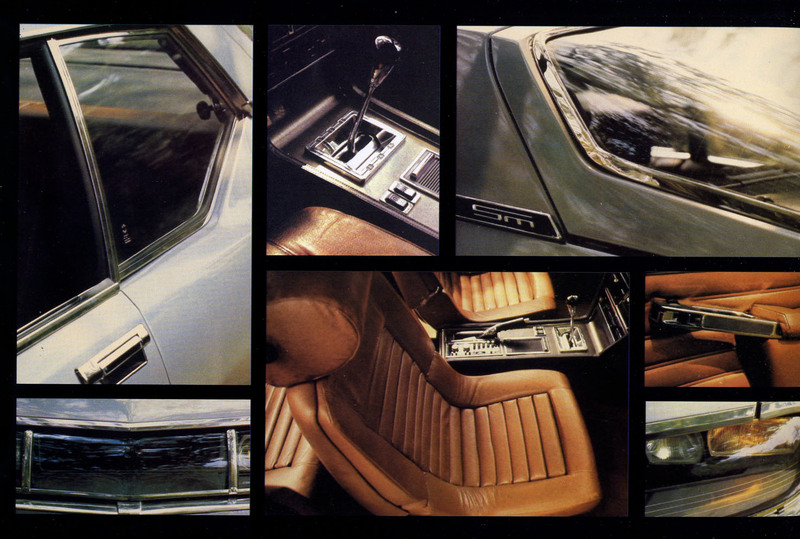 Here is a 1970s 450SEL Mercedes interior. You can see the all-encompassing devotion to functionalism. These old Mercedes have particularly large-diameter steering wheels. I don’t know if the modern Benzes stick to this tradition, but that larger wheel gives you a nice sense of, lets call it, relaxed entitlement. 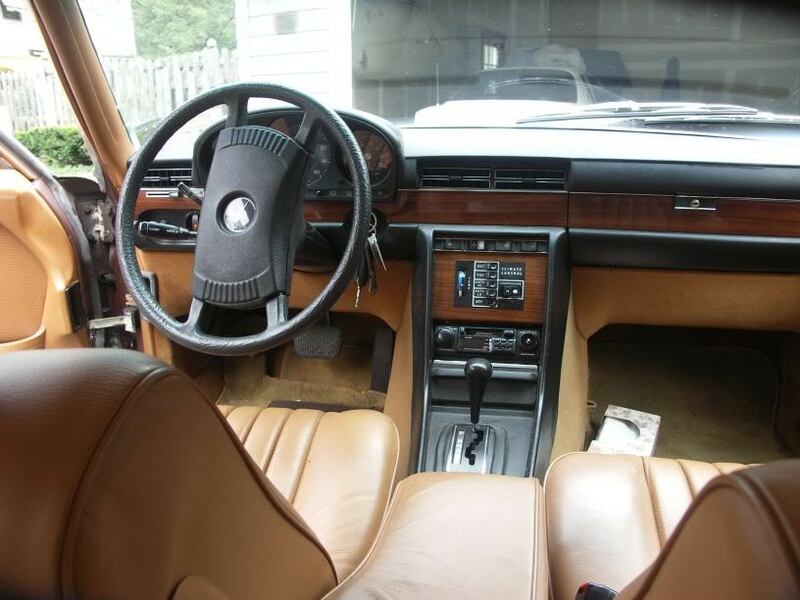 Note the wood control panel; the little VW above got along with a nice wood-grain decal, but be assured the Benz is the real thing. 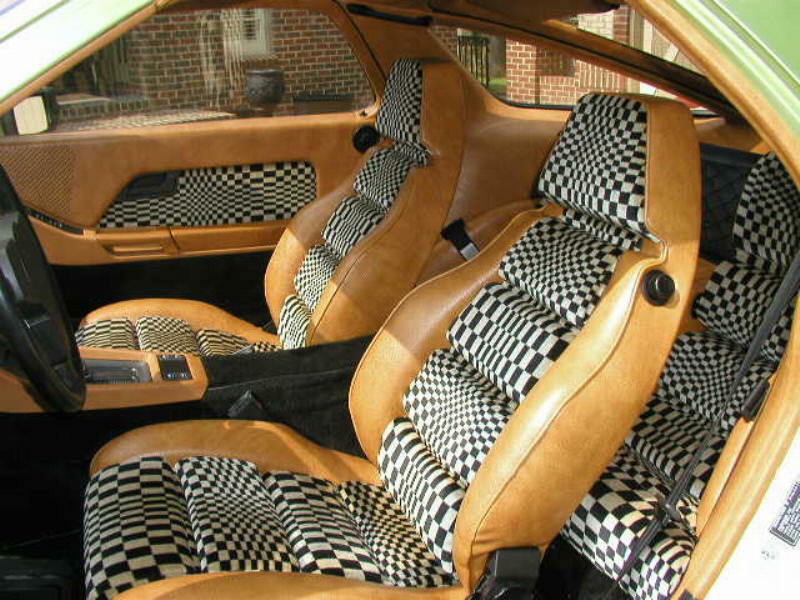 It is time to drop the mid-70s bomb that is the Porsche 928 Op-Art interior. 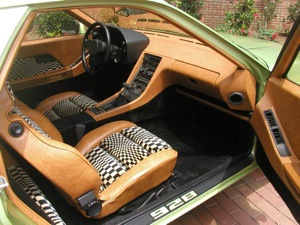 Originally conceived as a replacement to the venerable 911 model, the 928 was perhaps a wee-bit advanced in style and feature set for the traditional Porsche customer. 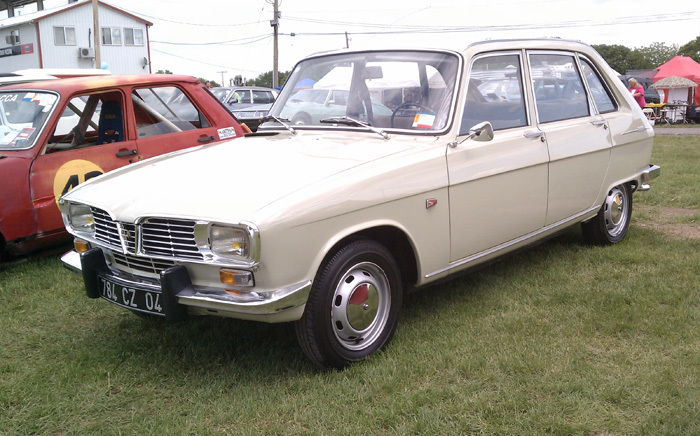 In fact, this car is very much like the Citroen SM in this regard – a little ahead of its time. The picture to right is a scale model, but I wanted to find a brown exterior shot to support the incredible interior you are about to see. 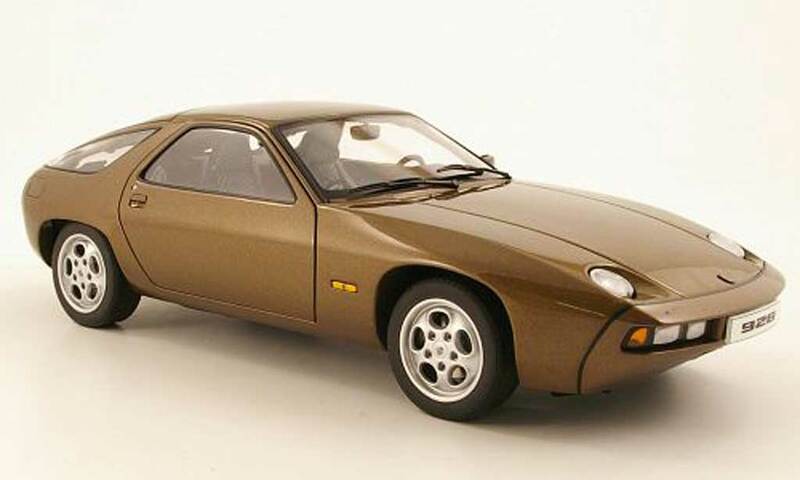 This automobile was designed in the early-mid 1970s, when Porsche was still a very small boutique manufacturer. Although they had recently had success at the top of motorsport (overall victory at the 24 hours of Le Mans), they were not yet the cash-flush company that would threaten to buy VW outright (like they almost did in pre-recession 2008/2009). This car had the motor in the front, as opposed to the rear like all Porsches did in the 50s and 60s. And it was a modern liquid-cooled V8 unlike those aircooled little 4 and 6 cylinder units of prior models. To celebrate this technological breakthrough, the company styled the otherwise functional and rigorous interior with the most incredible seat cushion inserts you can imagine. Note how the instrument binnacle is still in black. I’m sure the idea is to keep the driver’s eyes on the road and not distracted by that lustrous interior color. 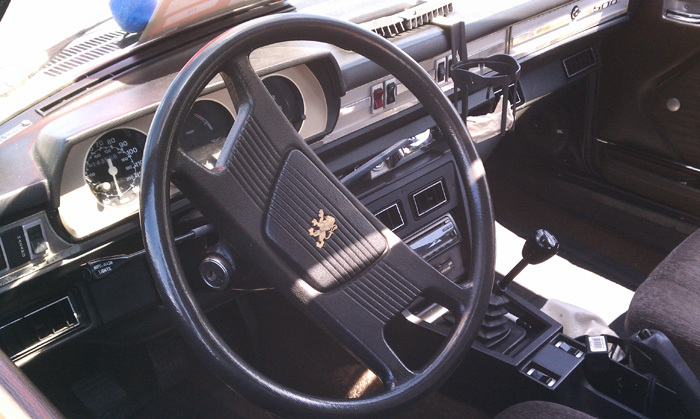 The binnacle would actually move up/down with the steering wheel height adjustment – quite novel at the time. 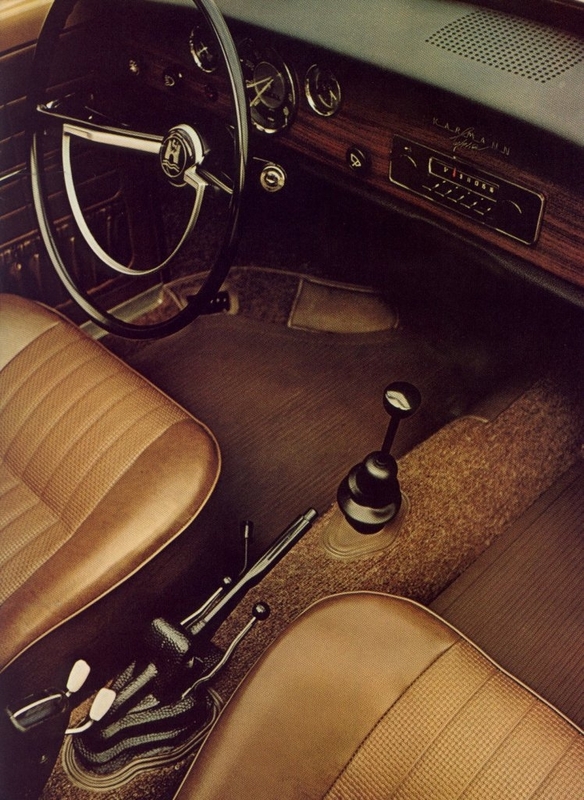 The center console was quite influential, as many makers (Acura most notably) copied the long, integrated sweep towards the gearshift and armrest. There are so many great cars from the 60s and 70s I want to post about, so this will have to be a multi-part post. 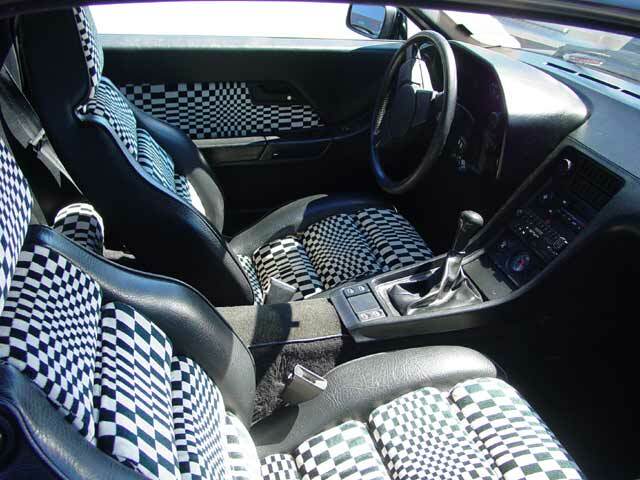 As a parting shot, we’ll use the interior from a VW Scirocco. 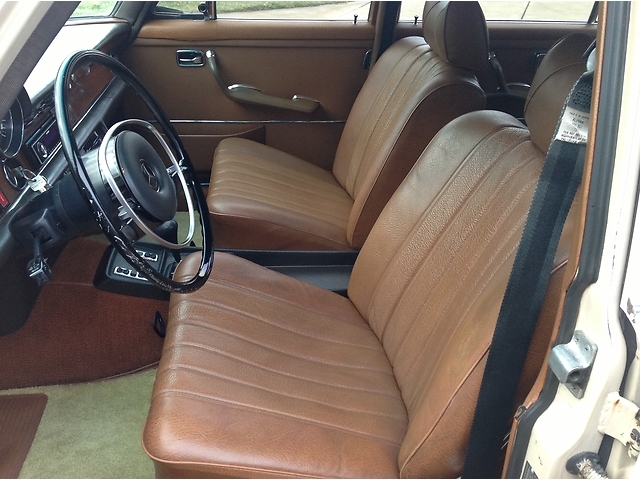 This is not mine; I hinted above that I had a brown interior in my 77 but it is actually a light tan color called Bedouin. One of my favorite colors for Sciroccos was Brazil Brown, a metallic copper-like tone. The interior was a little darker than Bedouin, so we’ll use this. 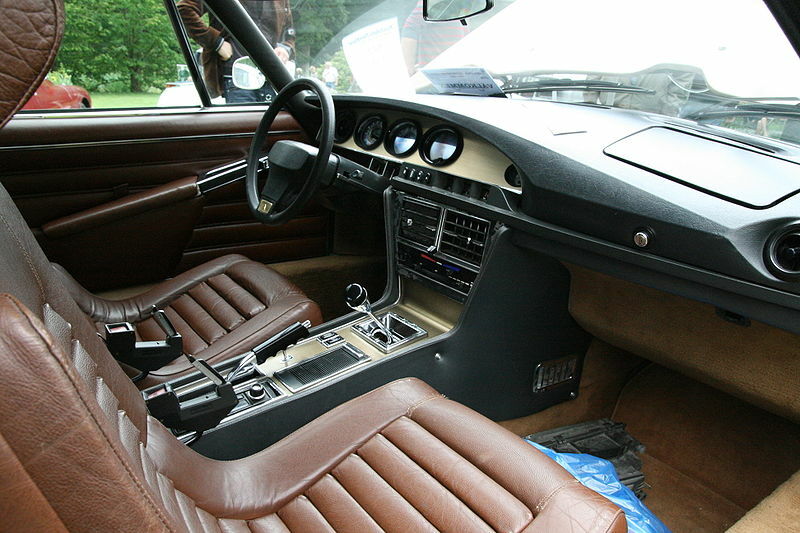 Any favorite car interiors you have, brown or otherwise? Share your thoughts with me. What designer doesn’t like automotive design? The pinnacle of consumer goods in terms of complexity and often, cost, automobile design inspires passions that transcend mere utilitarian needs; cars become objects of desire well beyond what usefulness dictates. Vintage cars especially have little use today other than to study the history of culture, design, pragmatism, invention, beauty. Like the piles of decorative art stashed away in museums around the world, very few good examples of obscure cars survived their initial in-service intact. What is left now is being hoarded and driven only occasionally. Luckily, when these wonderful old cars do come out of the garage, people flock to see them and enjoy talking with their stewards about the good old days of motoring. For me, looking at French cars is a particular treat because they are so exotic today – but also, there is a certain Gallic quirkiness that emanates from these cars; utility is nice but why not make something very special, to delight the user and casual passerby? This is the essence of the French motorcar to me: elevating the utility with careful details and imaginative engineering. 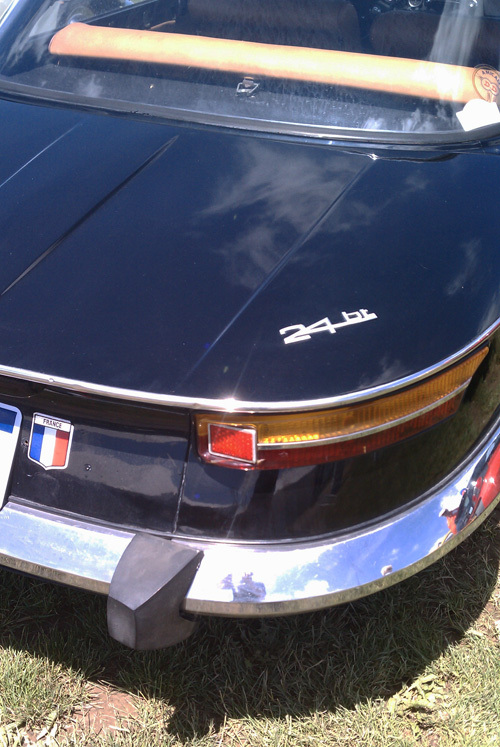 Last summer I went to a few car shows and found myself snapping pictures of all the French cars I could find. What follows are a few of my impressions and what I liked about each design. 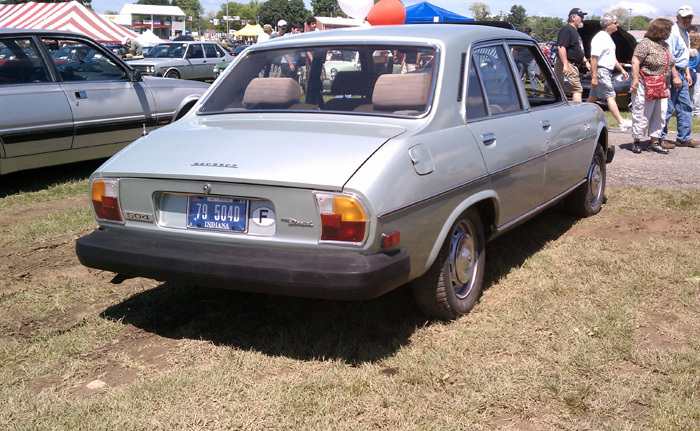 First up: the Peugeot 504 sedan. 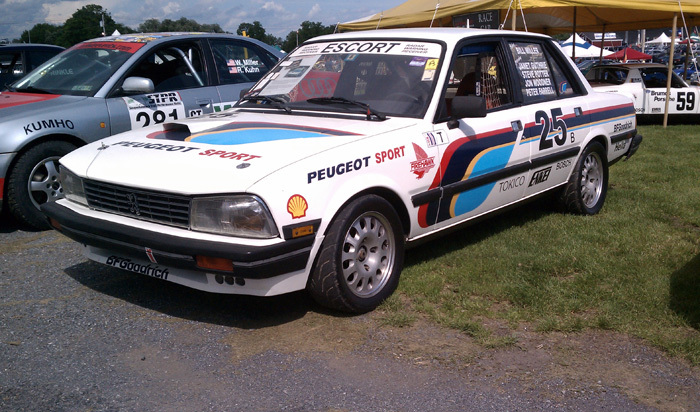 This is a Peugeot 505 racing car. I didn’t get any information about this particular car but it appears to have been recently campaigned in vintage car racing, what with those modern tires. 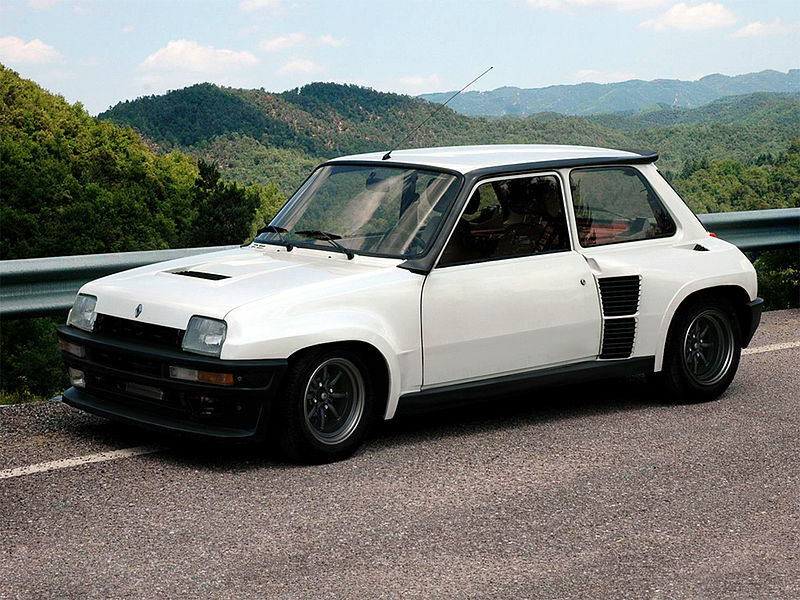 I can’t think of a more unlikely race car at the moment, but the 80’s Showroom Stock series might have been the perfect opportunity for Peugeot to get some exposure in the USA. 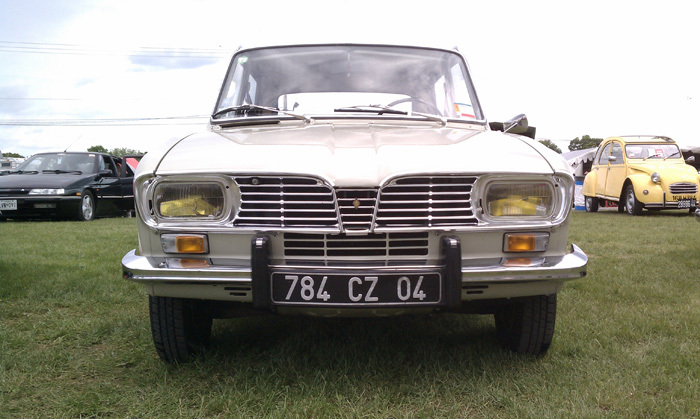 Keeping with the Peugeot marque, here is a lovely older car. This is a 1938 402 Legere. Without revealing the date on the placard, I might not have guessed the correct year; this car eludes a particular time period, at least to my American eyes. In a most-fantastic detail, the headlights are embedded behind the elegantly sloped grille. 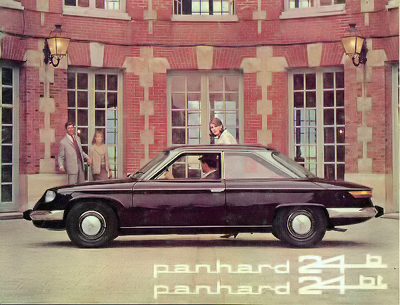 Here is a marque I heard of but had never seen: Panhard et Levassor. The car I saw, I believe, is a model 24b1. 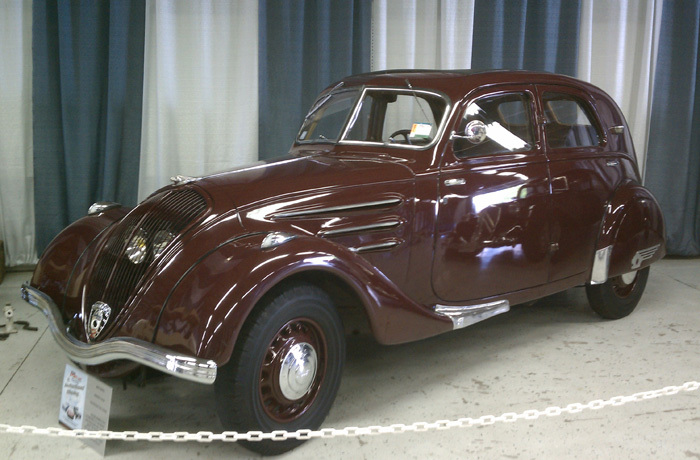 I could not get a good overall shot at the show, so to get a full view of the design I found this picture on the internet. 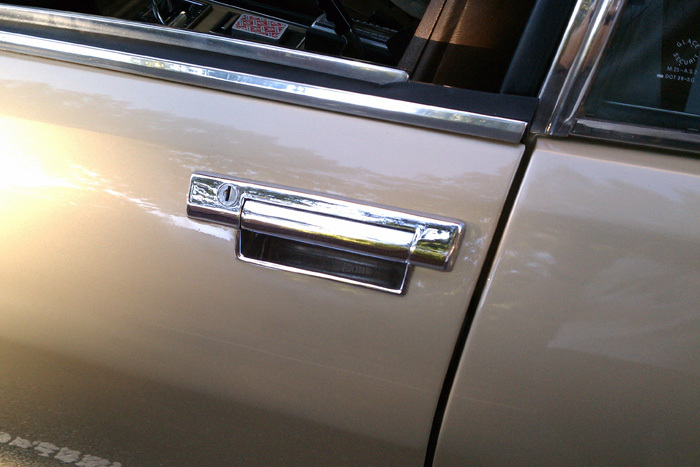 This car had some amazing details, like the chrome beltline, perfectly integrated bumpers and fine window trim moldings. The wheel hubs appear to be finned brake drums with just a thin chrome rim at the edge. Just look at that incredible bumper detail. From a little research into Panhard et Levassor automobiles, I discovered they were absorbed into Citroen in the early 60’s. This particular design debuted in 1964. The greenhouse is almost symmetrical from front to back. This swept-back detail on the rear glass/tail gives the car a very good suggestion of aerodynamics, although the laminar science applied here was probably very little. 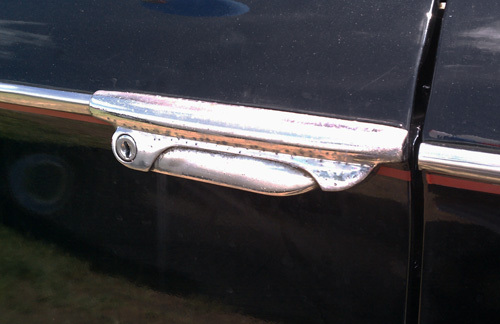 A detail of the door handle. 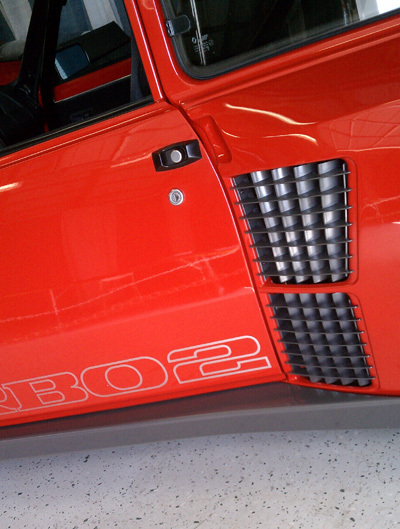 Every part of this car was carefully, originally detailed to be one integrated piece of art. Due to the noon daylight the interior was hard to capture. It was too a feast of design, with binnacled instruments and a sweeping integration of instrument panel and door handles. Look how close driver is to passenger; what better to help romance bloom on a Sunday drive in the country? 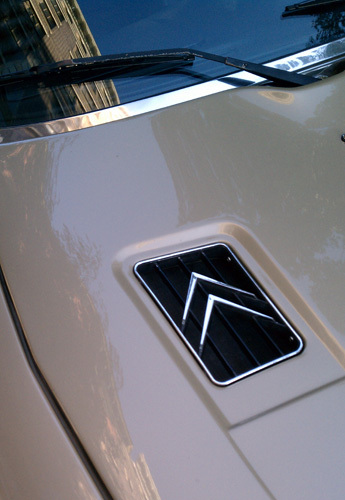 Citroen SM… the last great car by Citroen before the corporate merger with Peugeot in the early 1970s emasculated this great brand’s singular vision. Jointly developed with Maserati (mostly providing drivetrain including a lovely small V6), the SM had many amazing technological advances including electric self-centering steering, headlights that point towards the corners when the wheel is turned, the famous hydraulic suspension… the list goes on. This amazing example was found in Philadelphia at a small design-oriented auto show. Again, the attention to detail is exquisite; for instance, again we see completely integrated bumpers, but I think we can admit these would not be much protection during parallel parking. Citroen actually purchased cash-strapped Maserati in 1968. Of course Maserati had extensive experience building racing engines and large-displacement road engines; Citroen was looking to make a modern sports-variant version of the venerable DS saloon car and the partnership with Maserati would help put the missing pieces into the puzzle. Citroen put everything they had into this car. They literally spent themselves into ruin with the engineering and tooling costs. The car was a success but it was expensive, and of course they probably would have loved to double production numbers. There are many fragile and unique mechanical systems that do not tolerate casual neglect. Many cars were probably abandoned after going long periods without proper maintenance. I should take a minute to describe the peculiar French approach to automobile ride and comfort. 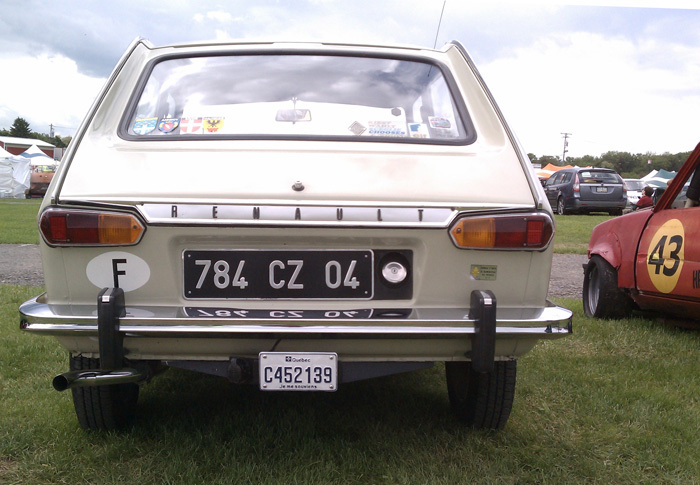 French cars have traditionally weighed heavier on comfort over road control and a firm ride. The driving position may not be “aggressive”, and the gear change not as direct as say, a German car. In cars such as the SM – a “personal luxury car” to use the American term – great effort has been expended to make the car responsive but in its own unique way; isolation from road harshness brings driver alertness by avoiding fatigue. Plus, you just need to look good when driving; you won’t look good if your hair is mussed and you have perspired from having the top down in your little roadster. 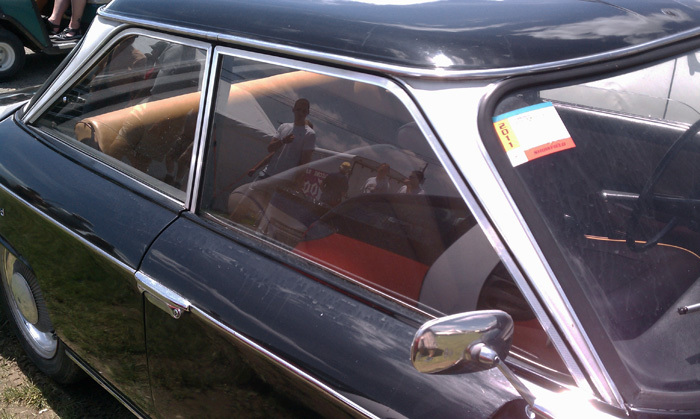 The other iconic Citroen (some would consider the iconic Citroen) is the DS. Developed in the 50’s this is the car that really defines the high period technologically and stylistically. 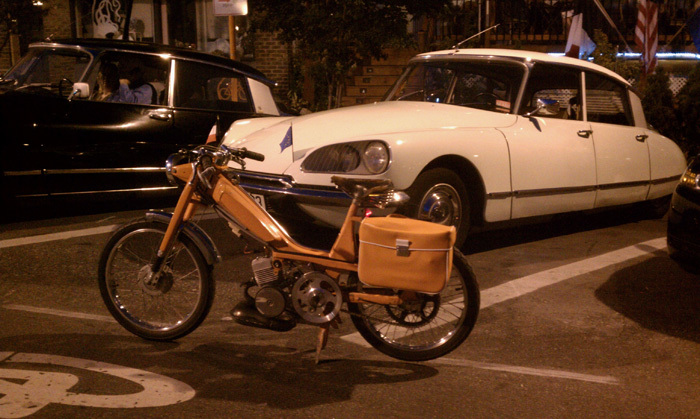 These two cars were parked in Hampden in Baltimore on Bastille day. I happen to be driving by on my French moped and could not resist a picture. Although the more exotic cars such as the Panhard and Citroen SM draw a big crowd, I get equal enjoyment from the average old economy car. 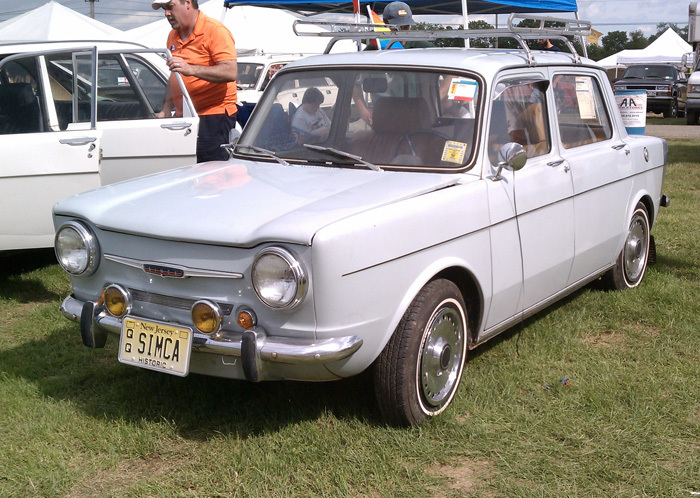 This seldom-seen gem is a Simca. 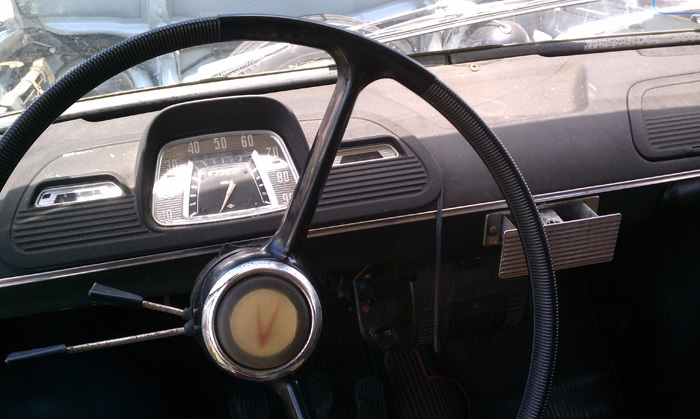 My parents have a story about driving a Simca which involves hilarious throttle cable repairs, a string on the end of each windshield wiper through the side windows as an important “manual override” and being able to hear the rust chewing away the car on quiet nights in the garage. On to a few Renaults. I had never seen an R16 before – a very distinctive design. I believe the car was designed in the early 1960’s, and is a very early hatchback. 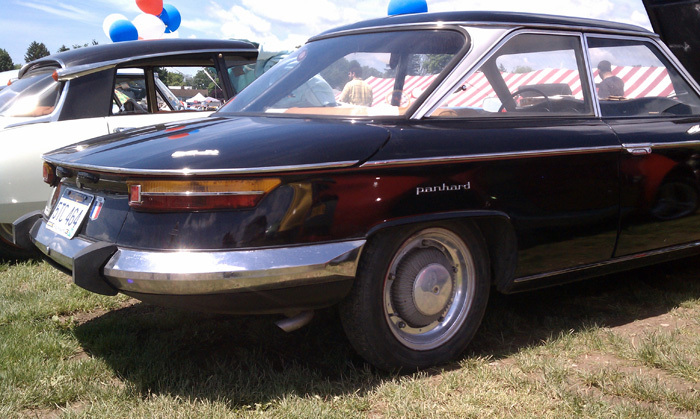 It was the European Car of the Year in 1965. I’ll let the pictures do the talking on this one. The “bird beak” nose detail was a styling cue that appeared all the way into the 1990’s. France used to allow – or still does? – these cool amber headlights. I’m pretty sure they are illegal in the States but they really complete the look of the car. Here is a look at that hatchback. I love the framed badge which becomes the bottom lip of the hatch, the rhombus-end/diamond taillamps… oh and notice the Quebec plate. I talked to a friend of the owner and they brought several cars with them to this show in Pennsylvania. 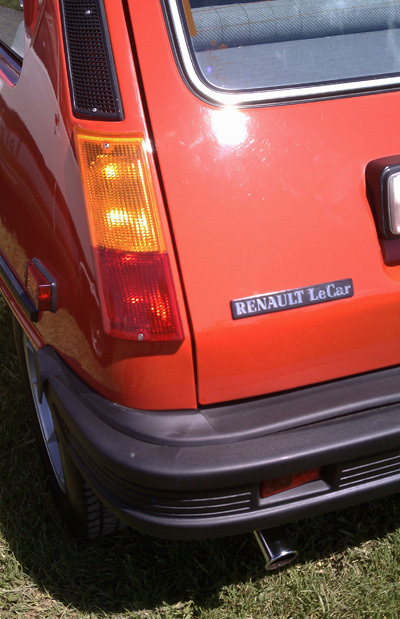 Nearby was a trio of Renault Le Cars. The race car looked completely trashed and although curious about that, I was completely transfixed on the brace of completely mint, time-warp road cars. I asked around for the owner but he was out walking the show; he owned all three. Both road cars were of a very high specification, with roll-back sunroofs, front air dams, beautiful cast wheels, perfect graphics, minty interiors… they were just stunning. Sadly the red car was gone when I came back to get more photographs, but no matter: the white one was the car I would most want to take home that day. 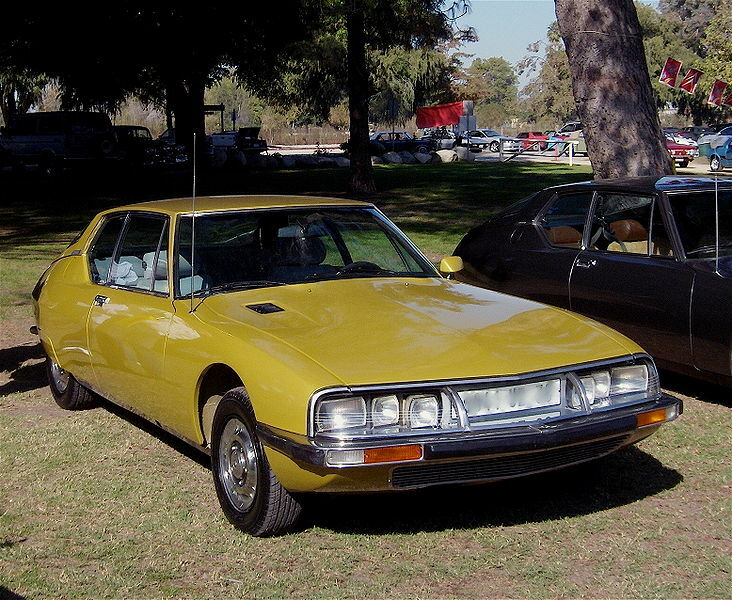 The Le Car – called the 5 at home and in world markets – was a very successful car in France. 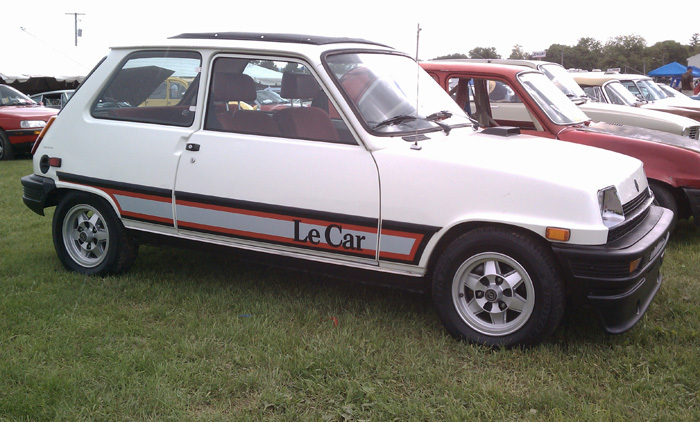 The Le Car was sold through AMC dealers in the States from 1977 all the way to 1993. I’m thinking these cars were very late model survivors. I love the plastic bumper details on these cars. I did a little research and the car was restyled a bit for the 1980 model year; US bumpers were always larger and clad in black, but the domestic models have very svelte, more integrated metal bumpers. This is a case, however, of me preferring the US version as these styling stripes and that integrated reflector is very nicely done. In the display building was an incredible Renault R5 Turbo 2. This was a specialized, rear-engine/rear-drive homologated racing car that is very, very rarely seen in the USA. 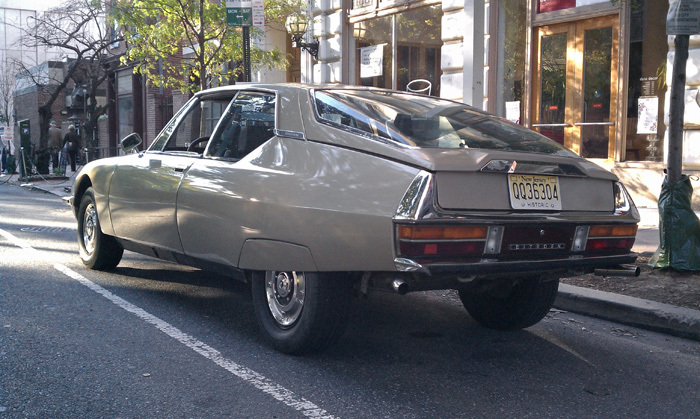 This car – and a nice Citroen G3 – were mobbed by people and it was hard to get a good shot. I will close with the photo of an R5 Turbo 2 from the internet. Next summer I will make sure to get to more car shows and possibly disseminate the styling and history a bit more.